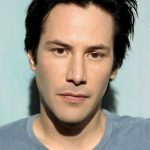 Keanu Reeves is one of the most famous Hollywood actors in the world. Starting his prolific career in the 1980s with a notable role in Dangeous Liaisons, his claim to fame was the action-thriller Speed co-starring Sandra Bullock. The movie was also Bullock’s breakthrough role. During the same decade, he starred in the films My Own Private Idaho, Bram Stoker’s Dracula, Johnny Mnemonic, The Devil’s Advocate and Little Buddha. In the late 1990s, Keanu became more popular among international moviegoers courtesy of his lead role in the film The Matrix. He reprised his role in The Matrix Reloaded and The Matrix Revolutions. He had also starred in romantic films, including Sweet November and The Lake House. Most recently, he’s best known for his starring role in John Wick. All throughout his career, the handsome actor has never really appeared buff in any of his movies, although it is evident that the actor is lean and fit to play action-oriented roles. Keanu is one of the best examples that men don’t need to gain huge muscles to look masculine and strong. Now in his 50s, the actor is surprisingly still youthful with his body still possessing agility. This is primarily because of his healthy lifestyle, rooting from eating nutritious food and of course, working out. Basically, he exercises in the most natural way possible, but shapes his workout routine fit for a specific movie character. For his role in John Wick, Keanu engaged in grueling training sessions. 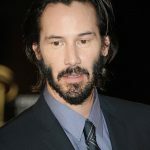 Although he had starred in the martial arts films 47 Ronin and Man of Tai Chi, the extensive action scenes in John Wick were way much different that the actor himself knew he needed to work harder. 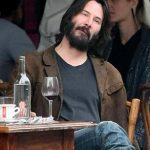 According to the actor: “There was some judo and jujitsu I had never done, and I hadn’t done anything with weapons in a long time.” Keanu admitted that despite his experience with action films, it wasn’t easy for him considering his age. Because of the rigorous training, the actor had to undergo some techniques to allow his body to recuperate where he had the kind of cold plunge bath used by high-level athletes installed in his guest bathroom.